Happy Monday all! Who is ready to find out more about the wedding stationery world?! For those of you who are new to the Events by Keenda Blog, I would like to extend a big hello and warm welcome! Firstly, I will give you a brief introduction into what we do and how. 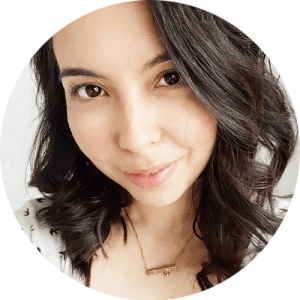 I will then introduce you to this week’s lovely guest blogger Michelle from Scritto. She will be giving your all the ins and outs of what you need for wedding stationery and when to order. Events by Keenda is a London based UK and destination wedding planner creating unique and unforgettable intimate weddings around the world for the stylish and the creative. All about the feels, we believe that an intimate wedding is the ideal way to celebrate with your loved ones. A small intimate celebration between close friends and family in quirky venues that reflect the couple’s personality is what we love to do! 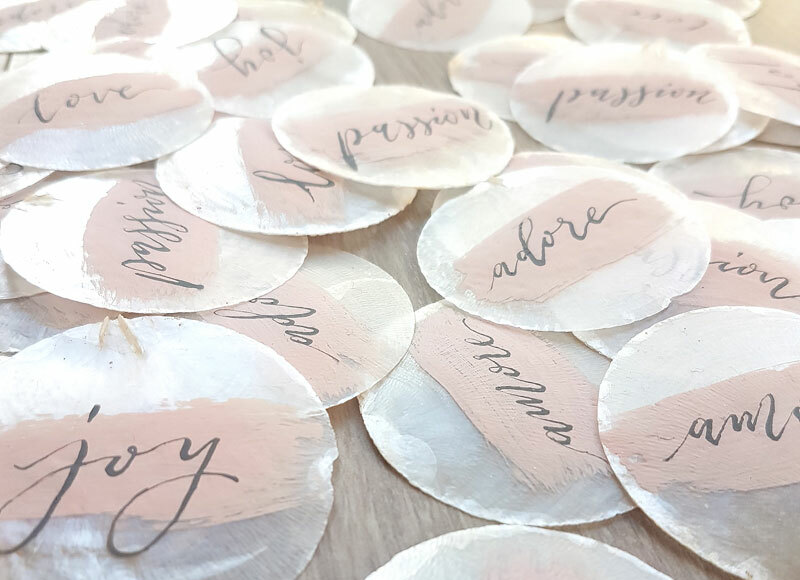 Wedding stationery is an important part of the wedding planning process and this is somewhere you can really let your individuality shine through the designs. There are so many creative options right now that he world is your oyster! Michelle is the Founder and Creative Director of Scritto. She is a modern calligrapher based in London who has 10 years experience in Graphic Design. 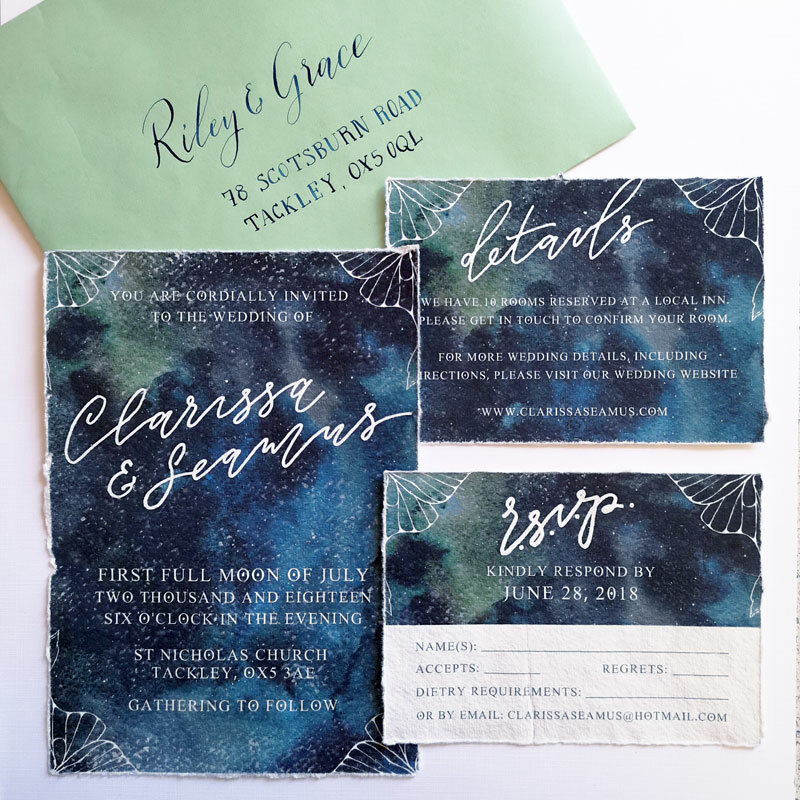 Having self-taught herself the art of calligraphy, she is now rocking the wedding stationery world. 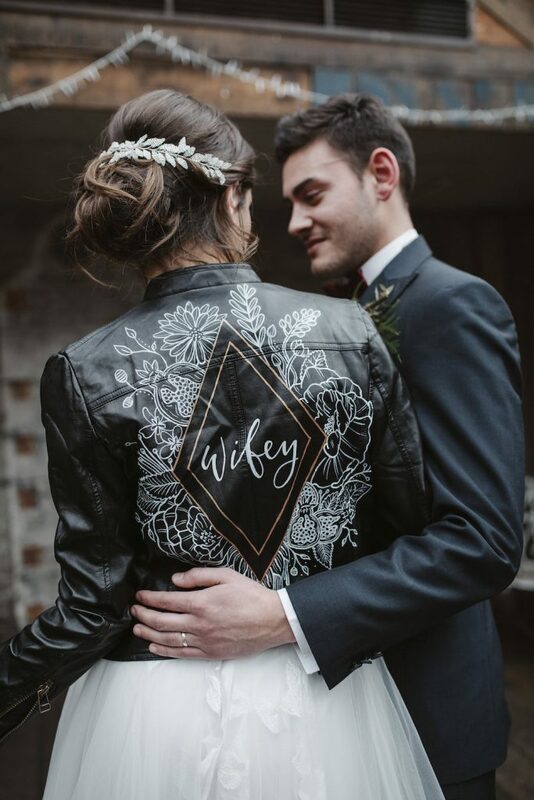 I have had the honour and privilege to work with Michelle on my last two styled photo shoots with her exceeding my brief for my requested bespoke items. Both shoots have been featured and I am very proud of them and Scritto’s involvement as a supplier and would highly recommend her services! You can check out more of the mentioned shoots below. Lots of inspiration for you to explore. You’re engaged! Congratulations! 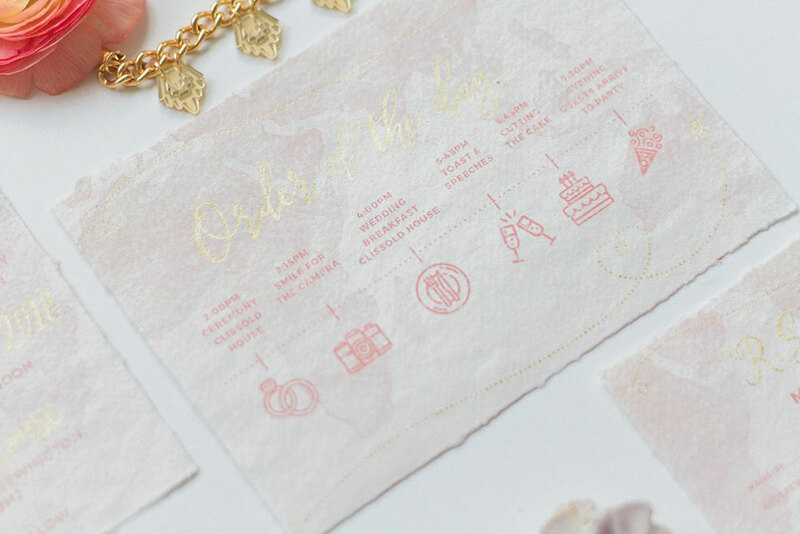 There are so many things to plan from this day forward but don’t delay on your wedding stationery especially if you are getting married abroad. First off, once you have found your venue and picked a date, a good place to start with your stationery is choosing a theme and start ordering your items once you have the guest list sorted. 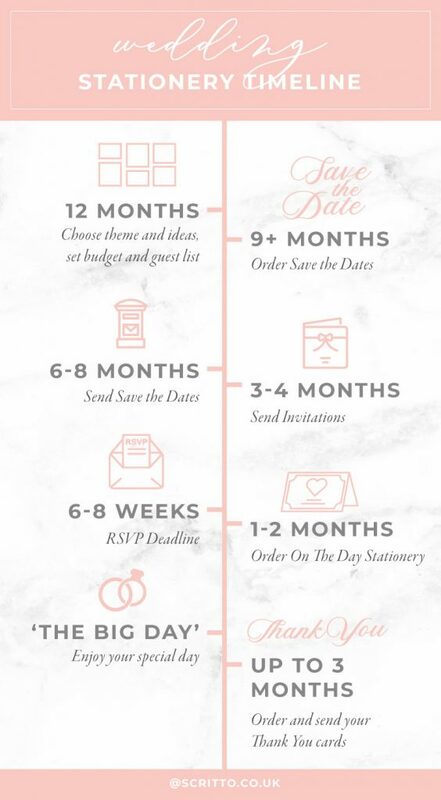 To make things simpler on your wedding planning journey, here is a timeline guide of when to send and order your stationery. Order: As soon as you know your venue, date and numbers. Send: A Minimum of 6-8 months, longer if you are having a destination wedding. Don’t forget that your guests could be making next year’s holiday plans already. You don’t necessarily need your save the dates to coordinate with your invitations but my personal preference is for it all to match. If you are undecided on a theme there are many ways to design these to adapt to any theme. A simple text based card or a photo from your engagement shoot can be used. Order: Once you have the details of your day get your stationer to start designing and make sure you’re booked into their schedule. During wedding season stationers can quickly get booked up even more and availability becomes scarce . So if you want calligraphy or additional elements such as wax seals or embellishments remember to book early. A minimum time you should expect for the design to take is 1-2 weeks. Send: 3-4 months before your wedding day should give you enough time to get those replies back. 6-8 weeks before your wedding. This leaves you some time to chase those who have missed the deadline. Sending the invites early gives guests enough time to add your day to their calendar however, they don’t always remember to respond or they may have misplaced the invite. Remember to check the final date your caterer needs for specific orders. 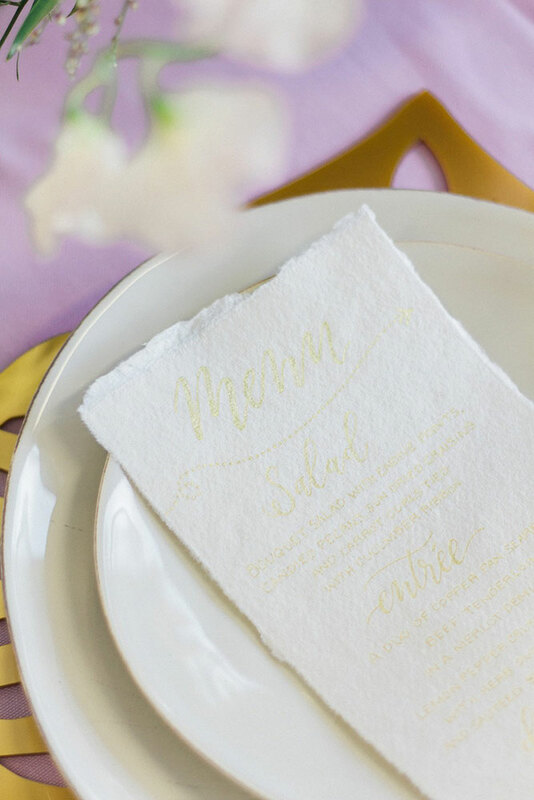 Order: As with invitations, make sure you have booked your slot with your stationer in advance and give them at least 1-2 months to create your programs, menus, place cards, table numbers, etc. 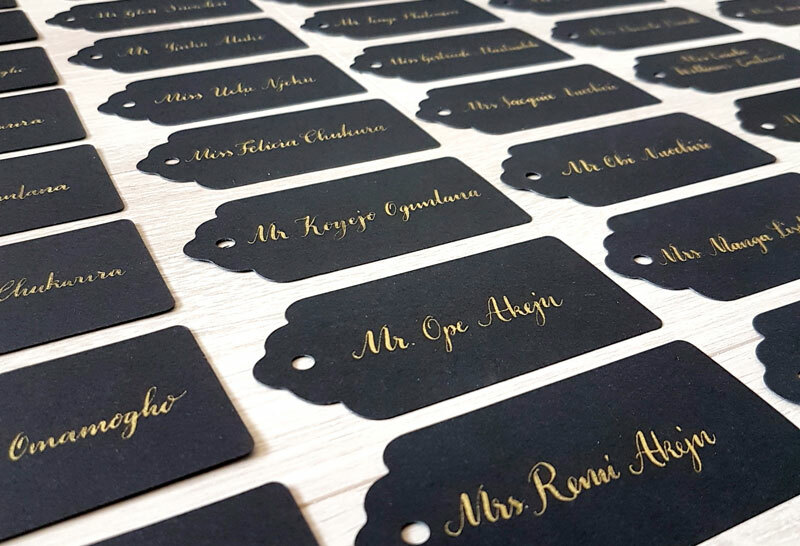 Names for seating plans and place cards don’t usually need to be sent until about 2-3 weeks before your wedding day, or maybe even a week depending on your stationer as they will take into consideration that you will have last minute name changes. Order: Before your wedding if you want to get them out promptly afterwards but you can wait until the big day is out of the way and you have relaxed a little. Just remember to book it in with your stationer and give them enough time to design. Send: Show your gratitude and send these out within 3 months from your wedding day. To find our more about Michelle and Scritto’s services you can visit her website here and I am sure she would love a follow and some love on her instagram too! Don’t be shy head on over and connect. Time will fly by!